Every company likes to shout about its credentials for providing quality goods and services. But Brentwood has the accreditation to prove it – and has done now for two decades! We recently underwent and passed an ISO 9001:2015 inspection, meaning we have now been in proud possession of the quality management system certification for 20 years. ISO 9001:2015 is an official accreditation procedure for companies that need to supply products and services in line with statutory requirements, or else want to demonstrate they have robust systems in place dedicated to customer satisfaction and continual service improvement. Brentwood falls into the latter camp. In a nutshell, it means we work in a way which puts quality of service first and that we are always looking for ways to do even better. Quality management systems (QMS) might sound very abstract from the outside looking in, and you might wonder, for a company like ours which uses QMS voluntarily, why do we bother? 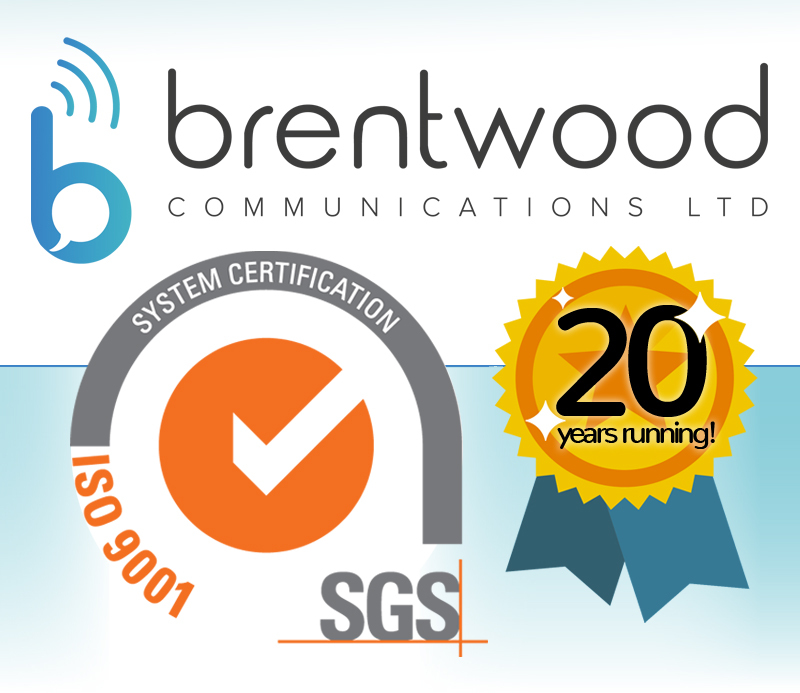 The point is, we want everything about Brentwood Radios to be pulling in the same direction to achieve our single most important goal – to provide an outstanding service selling, hiring and repairing two way radio equipment and systems. Take the analogy of a manufacturing company. They will use process control systems to make sure that everything in the business is optimised to deliver the best possible final product – from the materials bought, to how the assembly line is organised, to machine maintenance, to final quality control. Similarly, many companies use business process management systems to try to make operations more efficient, streamlined and cost-effective. QMS is similar, but the focus is on making sure our customers are completely satisfied. We believe that to give our best to customers, our whole business has to be organised around this guiding principle. We use ISO 9001 accreditation as a way to guide us in achieving our objective, and to get independent verification that we are meeting our targets. Our customers are extremely important to us, and we believe quality of service is what makes Brentwood really stand out. That is why we are so proud of our ISO 9001 accreditation, and why we feel it is something to shout about.